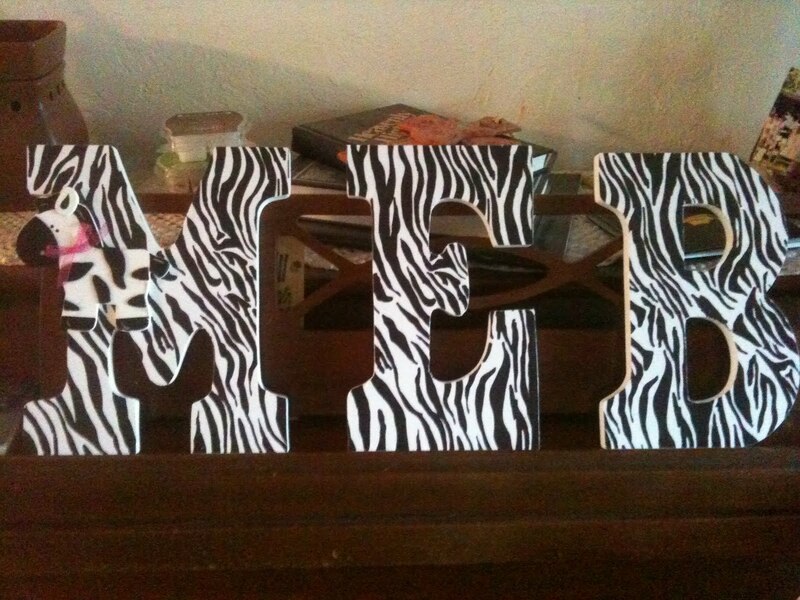 The above initials were made for another granddaughter. 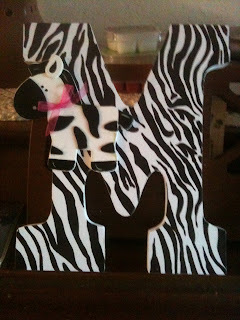 This granddaughter loves zebras and her room has recently been redecorated in a zebra-stripe theme. 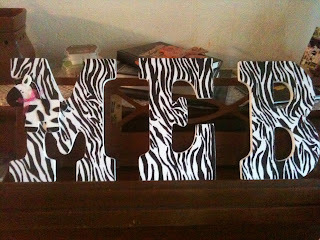 I can't wait to hang these letters! They are so cute!